New research from The Channel Partnership, a UK business-to-business marketing agency, suggests that B2B organisations could stand to co-ordinate their sales and marketing teams better, with only 20 percent of sales and marketing professionals feeling the activities of their respective teams are fully aligned. The study, based on a survey of 500 sales professionals and another 500 in marketing, found that one in 10 respondents felt their sales and marketing teams had no alignment whatsoever. The lack of a coherent strategy causes problems with an organisation’s marketing and sales approach in the view of 57 percent of respondents, with two-thirds feeling sales and marketing teams were driven by different targets and objectives. Equally, almost two-thirds felt the disconnect was caused by political conflict between senior managers. Most sales professionals (59%) believe marketers do not spend enough time talking to customers and consequently do not understand the value proposition of their products or services, reports the Sales and Marketing: Best of enemies or sworn friends? study. Amongst marketers, only 16 percent felt all of their go-to-market activities were currently fully aligned, citing lack of budget, lack of direction from senior management, and lack of time as causing this integration failure. These disconnects can create fundamental weaknesses in a B2B organisation’s go-to-market efforts, according to The Channel Partnership. Brown said that a common issue appears to be that marketers are not taking responsibility for the overall go-to-market approach. “There’s no point achieving some great market positioning and generating leads, if the salespeople aren’t fully equipped to convert that interest into sales,” he commented. 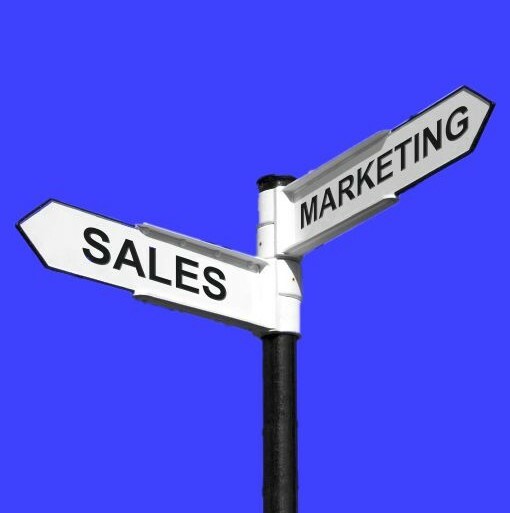 The study did find that sales professionals valued many marketing activities, including building brand awareness (83%), generating sales leads (83%), developing compelling propositions (81%) and providing market insight (81%), which only underscores that there is the potential for sales and marketing teams to work better together. “Those B2B organisations that are able to deliver a fully aligned go-to-market approach will have the best chances of driving profitable growth next year,” Brown said.